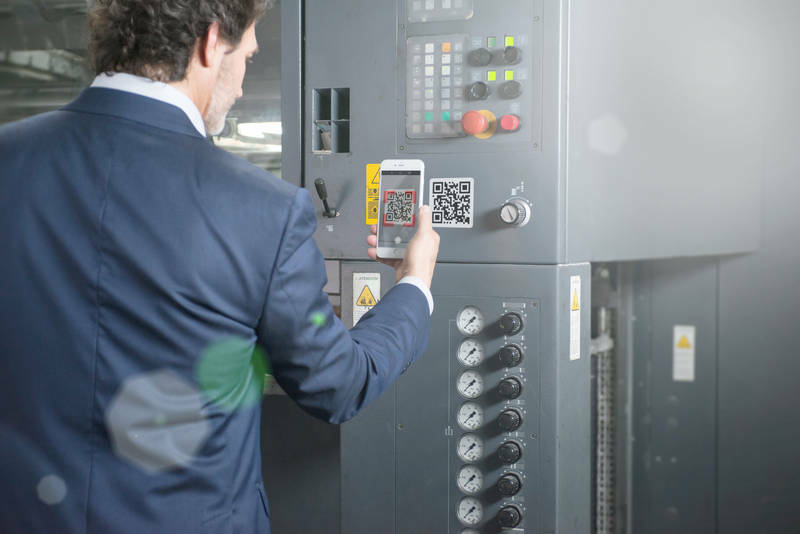 In order to ensure easy service ordering, a user uses the QR code scanner app on his smartphone or tablet to retrieve the machine's relevant information. The information is then automatically transmitted to the supplier, and the user is taken through a simple guided chat to determine whether an onsite technician visit is necessary. After scanning the code with Coresystems Now, customers are guided to the dialog-based platform provided by the machine manufacturer or the maintenance service. At this point, they can request a technician, order spare parts or access product information – even outside business hours – and can also choose a date and time for the service technician. SAN FRANCISCO, CA--(Marketwired - Sep 13, 2017) - Coresystems, a leading provider of cloud-based field service and workforce management software for mid-sized and large enterprises' field service organizations, today introduced Coresystems Now, a mobile self-service portal designed to streamline field service processes. With Coresystems Now, organizations and their customers can reduce the time and costs associated with traditionally manual field service processes, resulting in improved customer retention rates. Our increasing shift towards a mobile-enabled world has led to a proliferation of devices and machines connected to the Internet of Things (IoT), which has conditioned end-users to expect delivery of products and services in real-time. Indeed, Gartner, Inc. forecasts that 8.4 billion connected things will be in use worldwide in 2017, up 31 percent from 2016, and will reach 20.4 billion by 2020. However, many organizations' field service teams today are incapable of keeping pace with their customers' real-time service demands, due to time and resource constraints. 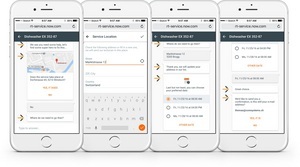 As a result, organizations are increasingly seeking ways to streamline their field service operations in order to meet their customers' needs. A real-time, self-service tool, Coresystems Now provides comprehensive and user-friendly features that allow organizations to request targeted service technicians much more quickly than ever before. In order to ensure easy service ordering, a user simply downloads a QR code scanner to their smartphone or tablet. Once the code on the machine is scanned, that machine's relevant information is automatically transmitted to the supplier, and the user is taken through a simple guided chat to determine whether an onsite technician visit is necessary. This combination of features completely eliminates the need for lengthy email chains or long periods of waiting on hold. Coresystems Now is also highly simple and efficient throughout the ordering process: after scanning the code or calling up a website link, customers are guided to the dialog-based platform provided by the machine manufacturer or the maintenance service. At this point, they can request a technician, order spare parts or access product information -- even outside business hours -- and can also choose a date and time for the service technician. Meanwhile, a status check, updated in real time, provides valuable information about each request. Furthermore, Coresystems Now can be customized with the corporate identity of the customer to make navigation in the service menu as simple and intuitive as possible. "Organizations in the business-to-business sector operate within large and complex ecosystems of customers and partners, and self-service is often the quickest path to resolution for issues tied to business processes," said Manuel Grenacher, CEO of Coresystems. "With Coresystems Now, we are providing those organizations with a fast, reliable and highly user-friendly tool that enables them to streamline the entire field service process, which saves invaluable time and resources and helps improve customer loyalty. With this new mobile offering, we are solidifying our commitment to helping our customers grow their businesses through stellar field service operations."